Our friend Pierino from Palazzo Urbani in Monte San Martino has lived all his life in this small village and has lots of stories to tell. The latest one is of the big bell that was forged in the town in the early 1920s. It was decided that Monte San Martino needed a new bell for the Church of Sant'Agostino in the piazza. They engaged Pasqualini of Fermo, a well-respected company. The experts told them that adding some gold to the bronze meant the bell would have an even better sound. 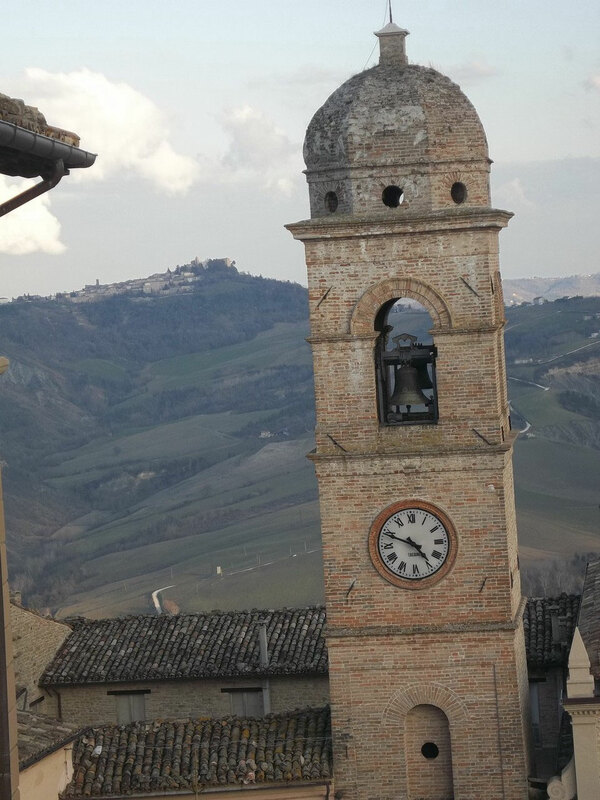 However, the towns people weren't prepared to send their gold to Fermo and so a forge was set up in the village, adjacent to where Ristorante Dei Priori is now situated. As the people went past they would contribute what gold they could - a little or a lot depending on their wealth and social status.